Buying a brand-new vehicle doesn't have to be your first or only option when the time comes to invest in a car. The used car market offers plenty of exceptional finds - only if you go to the right dealership, however. There are countless used car dealerships that will attempt to trick you into buying a used car that's not exactly in the same condition they promise it to be. Some dealerships will also push you or pressure you into buying something that you're not totally on board with. This level of business is never something you'll find when you come to Jerry's Ford of Leesburg, however. We're located in Leesburg, VA and we proudly serve the Ashburn area as well. Our dealership sells new Ford vehicles along with a great selection of used cars, trucks, and SUVs, all awaiting drivers in and around Potomac, MD as well as Sterling, VA. We know that we've got the perfect used car for your lifestyle and budget here at Jerry's Ford of Leesburg. You'll find a variety of body styles including used muscle cars, luxury cars, sedans, crossovers, SUVs, pick-up trucks and vans on our used lot. We boast a fine choice of makes and models as well, meaning you'll have endless options to choose from. Some top-selling used brands you'll be pleased to find in our used inventory include Ford, Chevy, GMC, Honda, Jeep, Lexus, Mercedes-Benz, Ram, Toyota, Volvo and more. We're certain we can find the right vehicle for you including the ideal price point, mileage and all the features and capabilities you want and need when you hit the road. 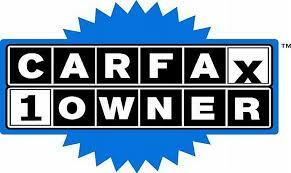 We also host an excellent inventory of certified pre-owned vehicles. This means that the vehicle has very minimal mileage, looks and runs like new, is usually of a recent model year and is still under warranty. Our certified pre-owned models must first pass a strict multi-point inspection before we accept them into our certified pre-owned inventory, which means you're always receiving the highest quality possible. Buying a used or certified pre-owned model from us has many benefits. One main benefit is saving money. You'll still drive away with a high quality car you can rely on for years to come but with more cash in your pocket. Another perk is less depreciation than a brand-new vehicle. Lastly, you may even find yourself in ownership of a car that you never thought you'd be able to call your own at its original, new price point. Our used car inventory is ready and waiting for you here in Leesburg, VA. We'd be happy to help you find the perfect used car for your budget whenever you have some free time. Please come on by, or check out what we have to offer online today. Our team is here to assist you in any way you possibly need, so don't hesitate to reach out and ask questions or come on down for a test drive whenever you're ready. We look forward to seeing you soon.